I’ve been working so hard this week (to be honest, since yesterday) to get the paintjob done as accurate as possible. I have “Reading Week” so no University this week… It’s supposed that we have to read, not painting… but well… Here’s what I have so far in 2 days of hard work. More screens after the jump! Just want to express that I’m so proud of painting this car. 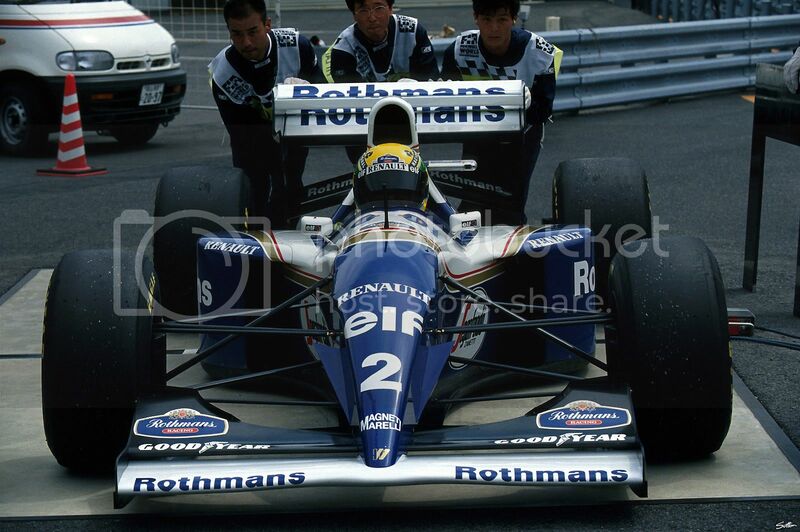 I’m a very Williams F1 Fan, a Senna/Hill fan… and that car made (bad) history… People knowing that I’m painting the FW16 always tells me something like “With great power comes great responsibility”. I’ll try to do my best. PS. Awesome shape, isn’t it? Tight shape, tight textures, neat. have you noticed a bug?on the front of the car you have number 2 and on the back wing of the car you have number 0!! !what is going on? 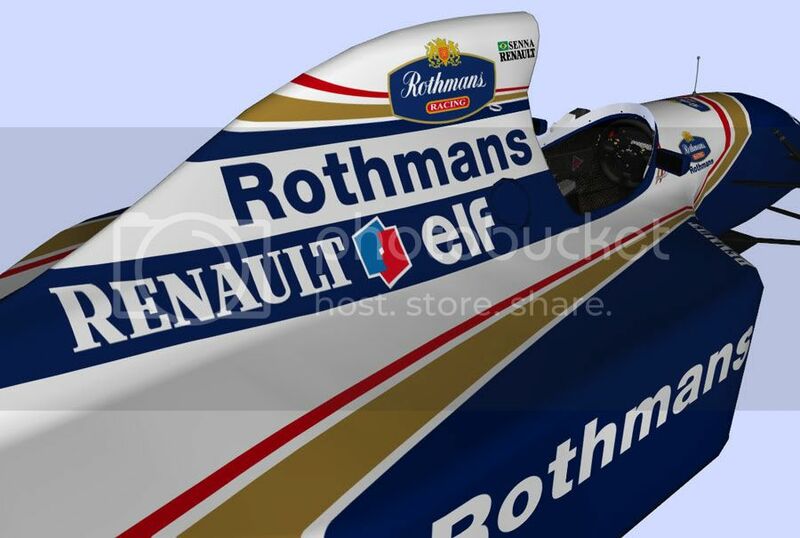 All i can see, without trying too hard, is that the “Rothmans” logo infront-and-to-the-right of the cockpit is a bit low. In reality, the logos are verging to the top of the nose, but in the pictures here they are more on-the-side. We know this problem, but mapping will remain in the middle of the logo, and due to the roundness looks terrible. I tried already. This car is labbeled Senna and features a double rear wing. It is therefore an Aida spec FW16 chassis #3. -The mirrors should be white. -The refuelling valve should be on the other side. -The antenna is too thin. On the real car it was covered by rubber and was not a thin metal wire. -It is missing the nose “vanes” as used by Senna and Hill in the race. -I believe the rear of the engine cover does not slope down enough. -The goodyear logo on the rear wing is mirrored? 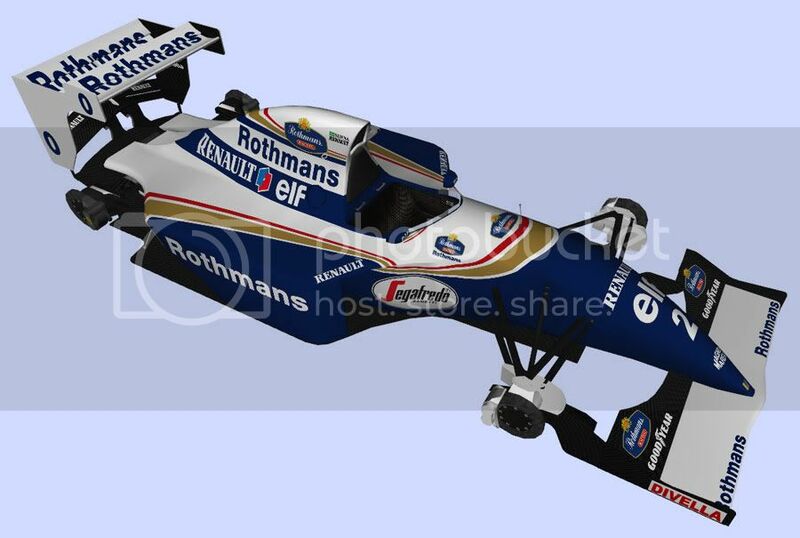 -Be careful in using FW16B photographs in modelling FW16 (lengthening sidepods, covering airbox, etc) The 2 cars are subtly very different. Just use high res FW16 photographs. 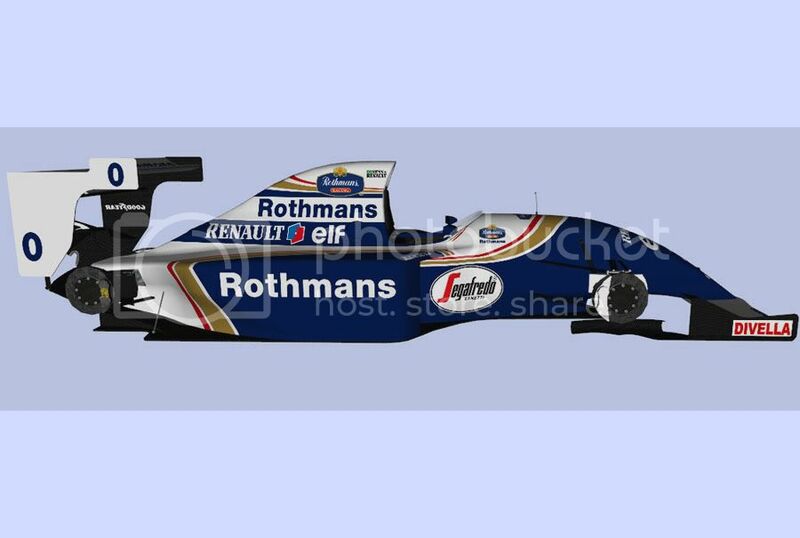 -Your curvise ROthmans logo blue background (in ellipses on engine cover and on front wing) are slighly lighter than the blue on the rest of the car. In reality it was a slight shade darker blue than the rest on the car. -The car is missing the emergency cutoff decal (E) on the engine cover. -The white coloured area infront of the cockpit is too short. -The Rothmans ellipse logo in this area sits far too low. In addition the Rothmans lettering below the ellipse is too short. -The Renault logo on the engine cover is too narrow. -The airbox curves inward behind the thin blue line, in reality it should continue on an even line. -The airbox entry hole edges are too sharp, on the real car they are more rounded. 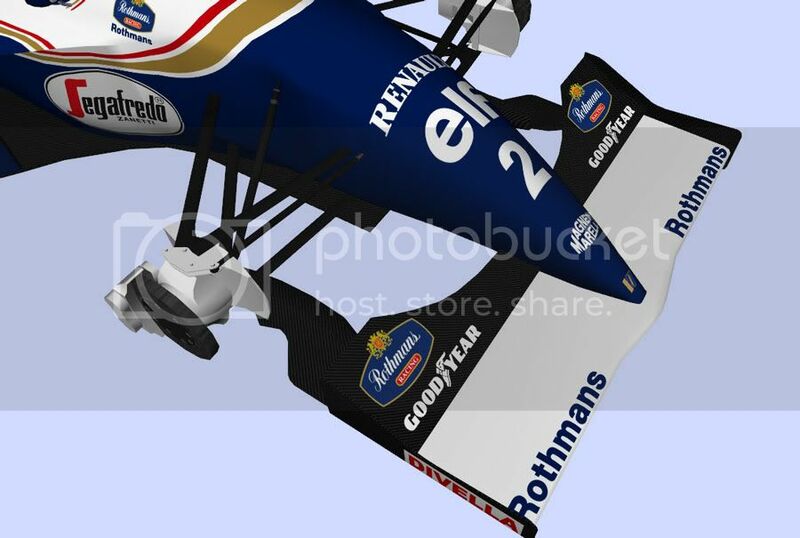 -The airbox engine cover is too narrow causing the blue “Rothmans” lettering to appear tooo narrow. Thanks for the detailed comments. Many of the issues have already been tackled, after all the pictures were done a year ago. One thing to note, very often we post WIP shots here, which are not consistent with the real cars liveries. Working in our graphic tools we have all sorts of livery combinations of logos, drivers etc on different layers and turn them on and off to check them all. So very often driver doesn’t suite to startnumber, logos are missing or flipped. Usually you can’t deduce the car to one specific race. The exception is when we display explicitly the differences in liveries for different GPs. Great to see you guys working on this to this level of perfection. Remember what truly makes something stand the test of time are the perfection in the details. If you mail me with your email address I can send you high res photography of the early season 1994 cars. I’m overwhelmed by Gold333 feedback, my god! Nice one mate… but in a couple of weeks you’ll see the almost-final product that has nothing to do with this. 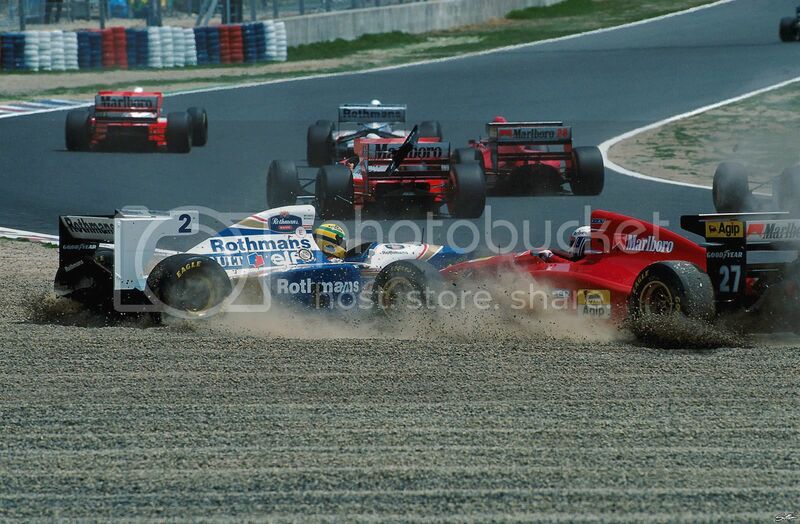 I am an enthousiast with a special love for the 93 and 94 seasons (I also wrote the wiki articles on FW14, 15 and 16). I am communicating now with Ko***@dan***se**. *** regarding how to exchange information. I will be more than happy to share everything I know (in 15 years of F1 experience) to help you guys out to get this mod perfect. To be honest the 1994 season was the parallel universe gateway to what we have now so it pays to get it right.